Maddog Gen IV comes with a skinnier tire than previous models. A popular question is can I fit a 12x7 on it? The answer is yes and in return we have some photos on how it's done. It's fairly simple and doesn't require much. Take note that one Chuckuslife Member has bolted on a MOJO Gy6 Universal hub and 12x7 Monster GY6 wheel that lined up dead center. *Disclaimer* What works for one bike doesn't always work for another. Welds could have been off along with other scenarios. However if you're looking to do the swap, try getting a MOJO hub and you may save yourself some trouble. It's definitely worth a shot. 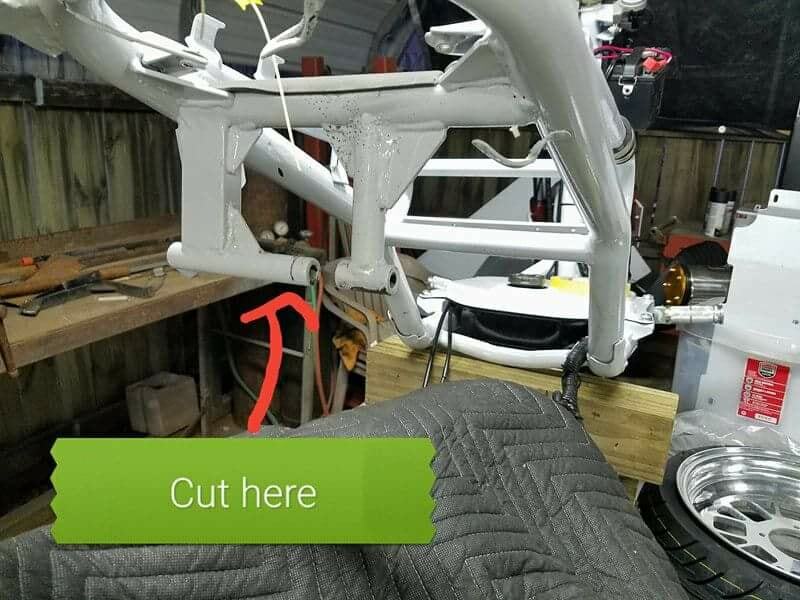 You will need to cut about 1" worth of your engine mount. This will allow you to move the engine over to the left which is needed to make the wheel center. 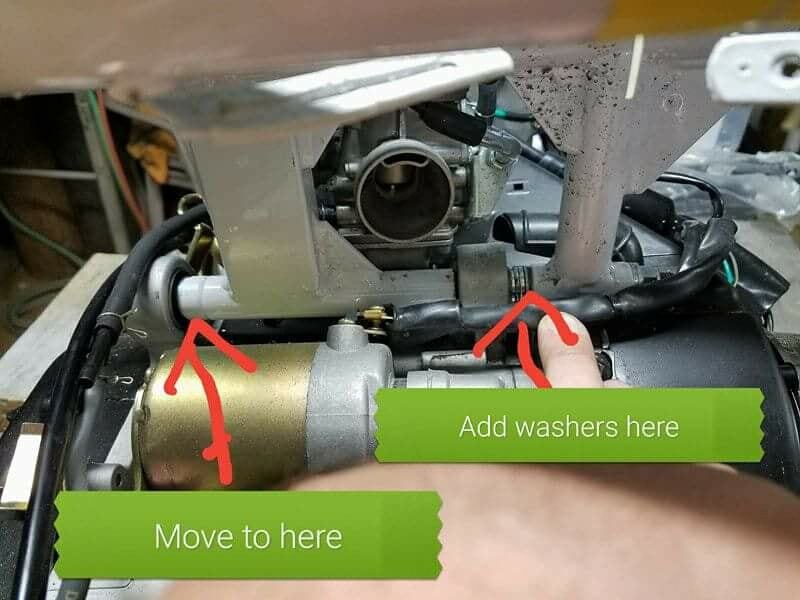 You will need washers to makeup the space difference on the right side now that you have shifted your engine left. See photo for reference. Now that you have cut your spacer off you will need to re purpose it. Take it and move it to the opposite side towards the outside left in order to use it as a spacer. Once shifted over you will notice a gap on the inner right side. A couple washers will be needed to fill this gap. Once everything is center and looks good go ahead and tighten everything up and you're done. 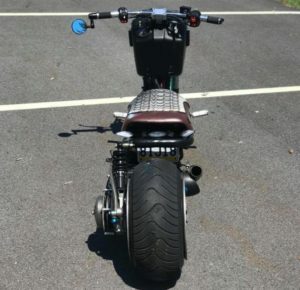 Each bike is unique and you may need to cut less or more than the next person. Keep this in mind that this may not be 100% accurate for you but used as a guide on the general process. If you're in doubt, head on over to the Facebook group and ask.